I am pretty stoked about PBS' The Great American Read. What a creative and fun way to promote reading, specifically some of the most beloved stories ever penned (or typed, depending on the era). I recently watched the two-hour premier (watch it HERE) and absolutely adored how people were gushing over their favorite book on the list, explaining why it should be voted as THE Great American Read. 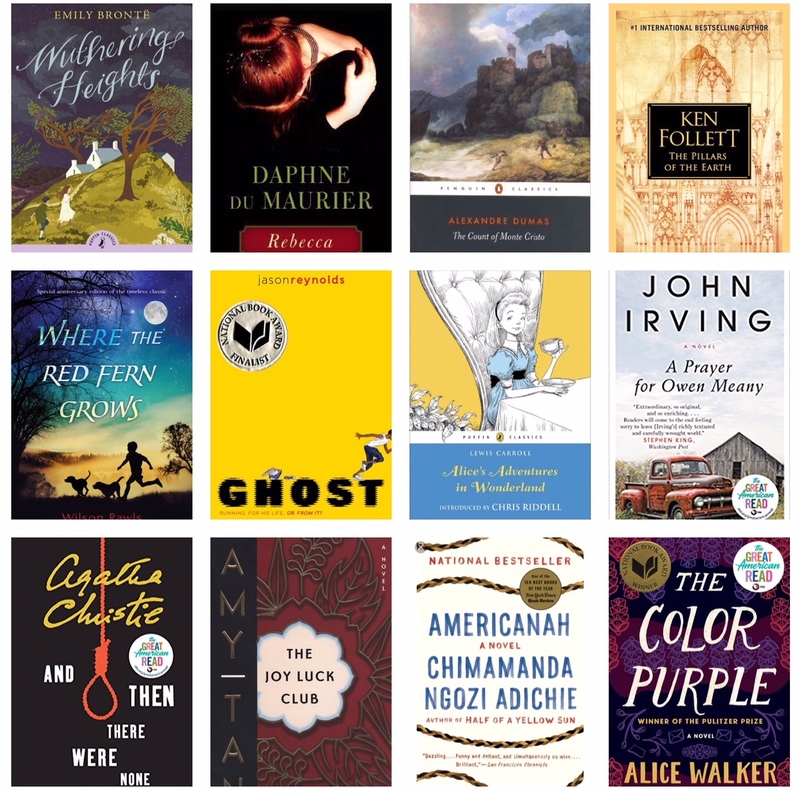 The rules are simple: vote for your favorite book from the list of 100 (multiple votes are fine as long as there is one vote per day) and the most popular book by the time voting ends in October will be crowned The Great American Read. Voting can be done on the website, or by posting the specific hashtag for your book on Facebook or twitter. Pretty easy! Technically 23.25 because I gave up on Beloved. And if we were counting the movie adaptations, then I would add another ten. 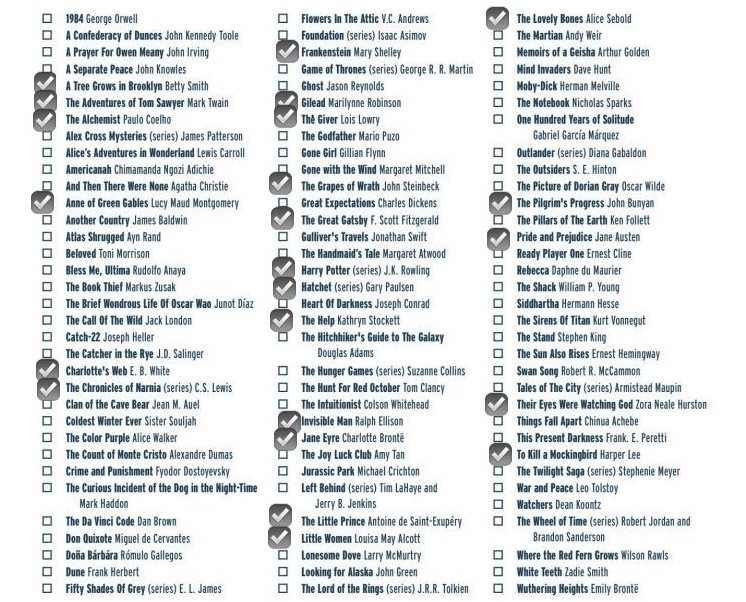 Here is the full list of books from The Great American Read, with the books I've read checked off. Did you count how many you've read off the list? Any favorites? Here are eight favorites from the list. I still find myself thinking or talking about these books pretty regularly! Although I already have waaaay too many books on my To-Be-Read list, I am adding these books from the list to hopefully read in 2018. Have you read any of them? I'm including two creepy mysteries (And Then There Was One and Rebecca), which is a genre I typically steer away from because I get scared easily. A few are books I have already had my eyes on for months (and some, I own) so this is the final push to actually get them read this year (Wuthering Heights, The Count of Monte Cristo, Alice's Adventures in Wonderland, Where the Red Fern Grows). 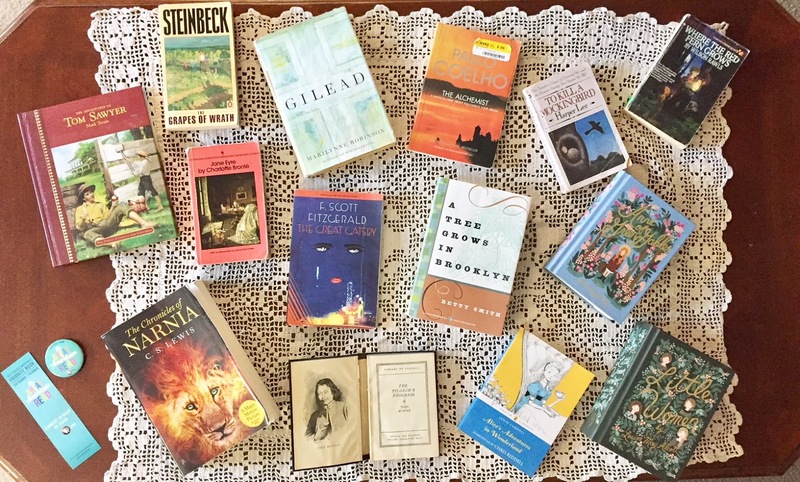 And, I love books that take me to life experiences and cultures vastly different than my own, so I am looking forward to The Joy Luck Club, Americanah, and The Color Purple. Are you challenging yourself to read any books of The Great American Read list? I'd love to hear about which one(s)!